WOW! 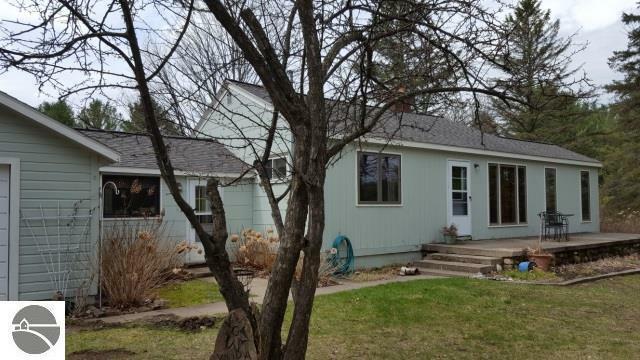 Bring your canoe or kayaks as this adorable country charmer offers all the luxuries of home located 3 blocks from a public access on Clam Lake. Hard-wood floors throughout the main home, wonderful kitchen with walk in pantry and dining area, nonconforming 3rd bedroom could also be used as a sun-porch. Property also offers a 24 x14 detached garage and a 14 x 24 garden shed. Alden and Bellaire are just a short drive to fine dining, shopping, golfing, skiing and Torch Lake sand bar! This home wont last long! Kit Size: 18' x 11' 7"
Liv Rm Size: 11' 10 x 17' 4"